You’ve got to try this. I have made many versions of enchilada casserole. I normally use corn tortillas but this time I used whole wheat flour tortillas. I love how nicely the casserole sliced and stayed together when I served it. Use the Twenty Minute Turkey Taco meat recipe I posted this week. Enjoy with my black bean and corn salad. Perfect, simple, comfort food. 1) Preheat oven to 375′. Coat a 2 quart baking dish with cooking spray. 2) In a small bowl, mix the enchilada and tomato sauces together, set aside. 3) Cover the bottom of the baking dish with the tortilla. Cut them to fit if you have to. 4) Ladle just enough sauce to cover the tortilla. Add a layer of the prepared turkey meat. Repeat so that you have 3 layers, end with the remaining meat and sauce. Top with cheese. Bake for 45-50 minutes. Serves 4. When you make a batch of the turkey taco meat, reserve half of it for this casserole or for another taco night. This casserole freezes beautifully. You can also make it ahead and keep it refrigerated until you’re ready to bake. I cut the enchilada sauce with tomato sauce because even the mild sauce full strength can be a bit strong tasting. Can an old favorite be improved upon? Of course! 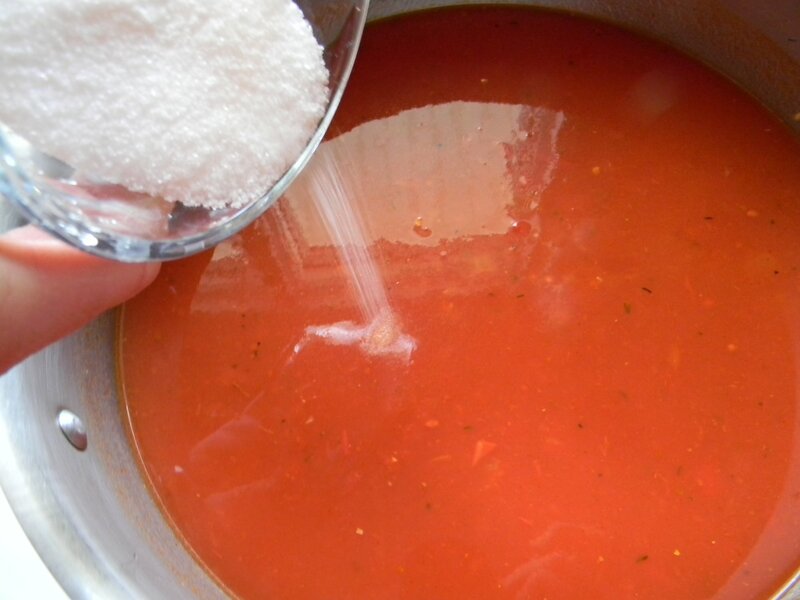 Forget those little sodium packed seasoning mixes and follow this recipe instead. 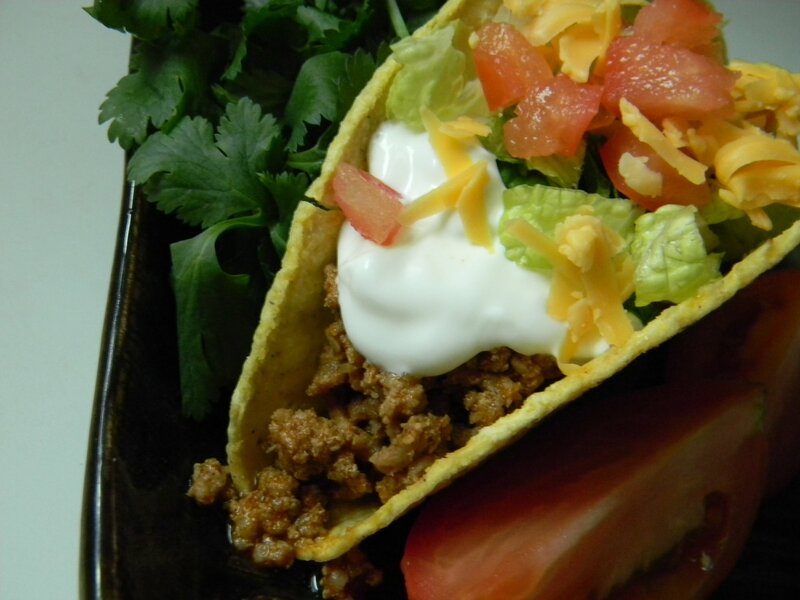 Use this seasoned meat in taco or enchilada casseroles, taco salads and burritos. I make extra for the freezer for an even easier meal down the road. Feel free to use ground beef as well. 1) Heat a large skillet over medium-high heat, add the canola oil. Add the onion and cook for 5-7 minutes. Add the garlic and cook another minute. 2) Add the meat and cook through. Break up the meat with a spatula while cooking. Add the chili powder, cumin, salt and pepper. Stir to combine and add the water. Allow to simmer for about 5 minutes or until most of the water has evaporated. Serve with warmed soft or crunchy shells and your favorite toppings. Enjoy with your happy family! 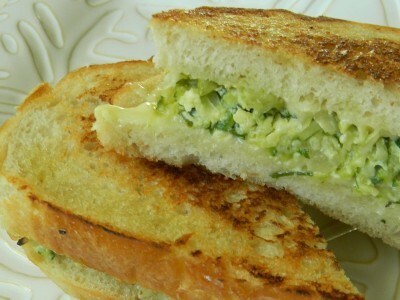 Veggie Grilled Cheese or Panini…..
Here’s a quick and really tasty way to use up your zucchini bake. Warm a slice of zucchini bake large enough to cover a slice of sourdough bread and warm it in the microwave until very hot. Heat a skillet over medium heat. Brush the two pieces of sourdough bread lightly with olive oil. Make a sandwich using your favorite cheese, I used gruyere swiss, then the warmed zucchini bake. Toast until the bread is nicely browned. Walla, a quick and easy lunch or dinner. 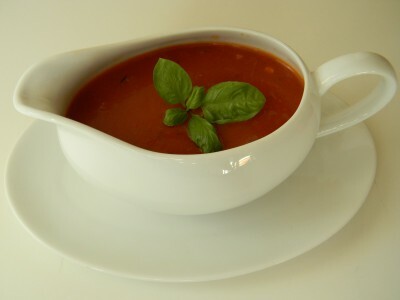 Enjoy with Tomato Basil Soup, delish! I think some roasted red pepper would be a pretty fabulous addition to this sandwich as well. It’s the perfect opportunity to get creative. That’s why I love to cook, the possibilities are endless! 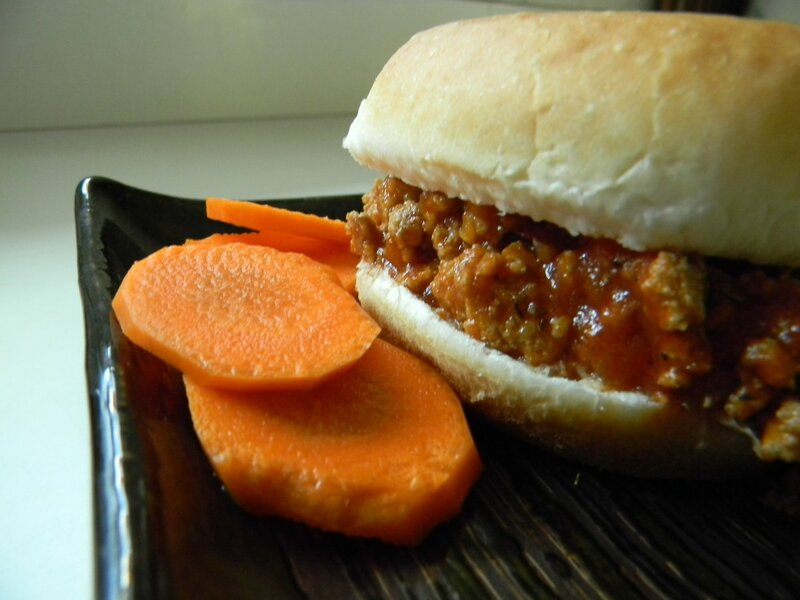 Twenty Minute Homemade Sloppy Joes….. 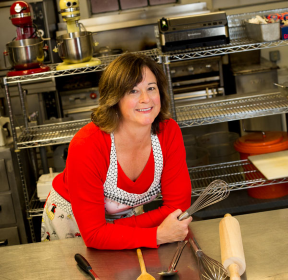 It is that time of year when there just isn’t loads of extra time to spend in the kitchen. I do not make this meal often enough for my people as they go nuts when I make them! So simple. I make my Sloppy Joes with ground turkey and a few basic ingredients. 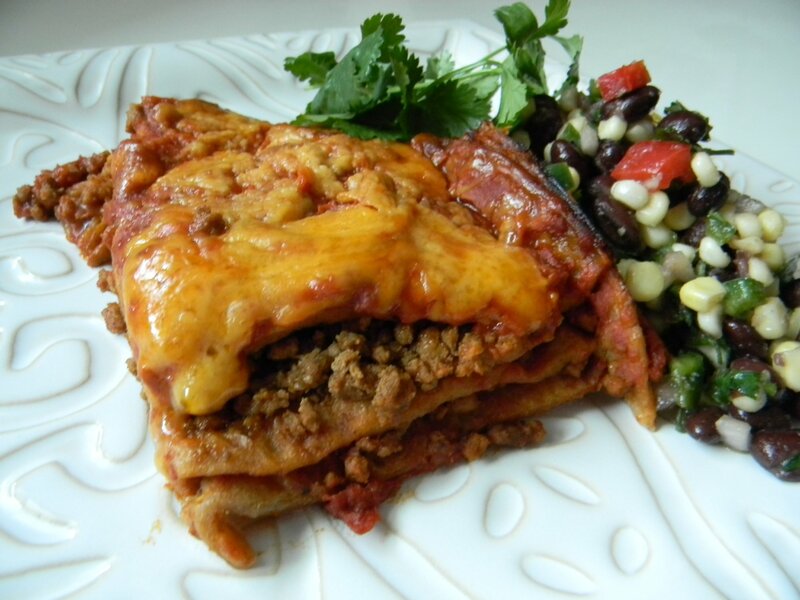 Since your family will love this, double or triple the recipe and freeze it for a couple of other quick weeknight meals. You’ll be so happy you did! If you REALLY want to drive ’em crazy make these. 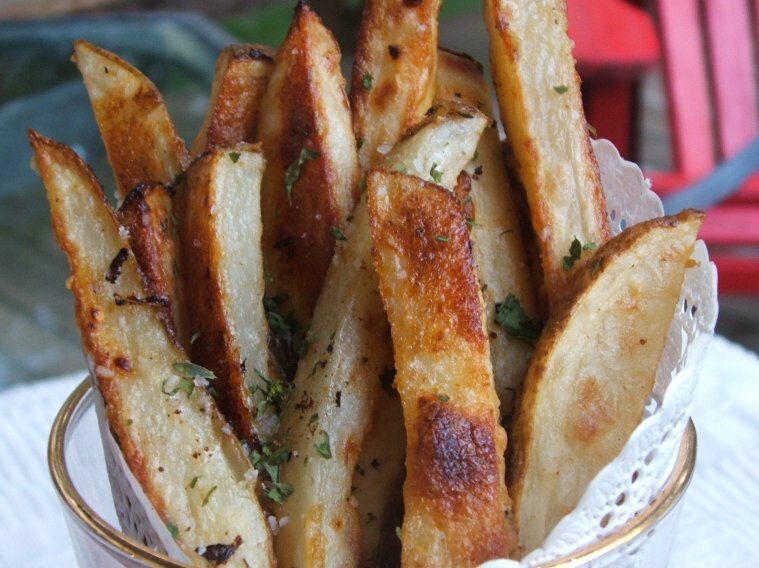 My Oven French Fries are sure to please and they actually taste like a real potato…imagine that! They take a bit more effort than opening a bag (which I am certainly not above!) but will be well worth it! 1) Heat a large heavy skillet over medium heat. 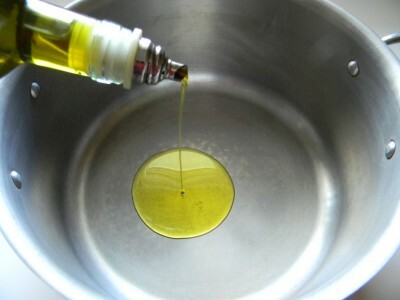 Add the oil. Add the ground meat to to the hot skillet and add the onion garlic and salt and pepper. Cook until the meat is cooked through. 2) Add the chili powder, tomato paste and the brown sugar. 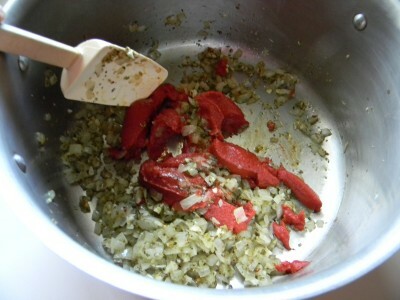 Stir the mixture to incorporate the ingredients into the meat. Add the water all at once. Simmer for about 10 minutes or until you’ve achieved the right consistency for the saucy meat to to onto a bun. Taste and adjust seasoning if necessary. Makes 8 happy, smiley, and very much appreciated servings. There you go. An easy, delicious and healthy dinner for your family that everyone will LOVE. *you can substitute beef for the turkey meat. I would suggest cooking the beef all the way through and then draining off any excess fat before adding the rest of the ingredients. Fried Brown Rice, Only 11Points! I get very tired of “typical” lunches. Sandwiches, salads, soup, etc. Yesterday, I made a killer lunch that took me all of 10 minutes and only cost me 11 Weight Watcher’s points! I would have taken a picture, but I was hungry….. I often suggest making a good amount of brown rice whenever you make it so that you have some for later in the week or to put in the freezer. I did just that this week. Listed are the ingredients I threw into my fried rice, add whatever you like! You can easily bulk up your portion by adding extra veggies like red peppers, purple onion, broccoli, pea pods…whatever you have would be great! I heated a non stick skillet until very hot and added the canola oil. Quick fried the chicken until heated through, added the peas, ginger, and scallions, cooked for about 2 minutes. I made an opening in the center of the pan and added the beaten egg and cooked it through, mixing and chopping up the cooked egg. I dumped in the rice and added a drizzle of soy sauce, stirring and turning the rice to heat it through. Finally, a small drizzle of the sesame oil. Healthy, delicious, hot lunch. Ten minutes. Always treat yourself as you would your best friend. You’re SO worth it! Caesar Salad With Garlicky Croutons…..
It’s been so hot I haven’t had the energy to muster up much more than cool salads! We’ve hardly spent time outside for the past week, huge bummer. It’s absolutely beautiful looking outside but of course, it’s like an oven. That being said, I’d like to share one of my favorite salads with you. 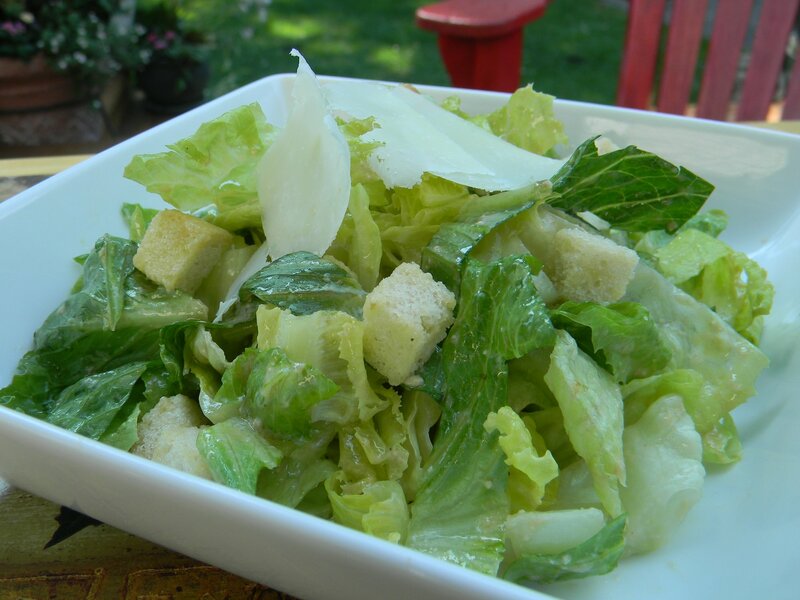 Caesar salad dressing is very simple to make. I use the blender to completely pulverize all of the yummy ingredients. I use light mayonnaise in lieu of a raw egg yolk, and of course, a Caesar salad just wouldn’t be without anchovies. Before you wrinkle up your nose, I will tell you that when you blend these flavorful little fillets, you will not be able to detect them in the dressing. Just this amazingly deep and rich flavor. Another very important component of an authentic Caesar salad is croutons. I simply cannot use a store bought crouton in my salad. Use leftover bread ends or baguette. If you simply cannot turn the oven on at this point, I understand! Lastly, olive oil, (first cold pressed) and nice parmigiano cheese. 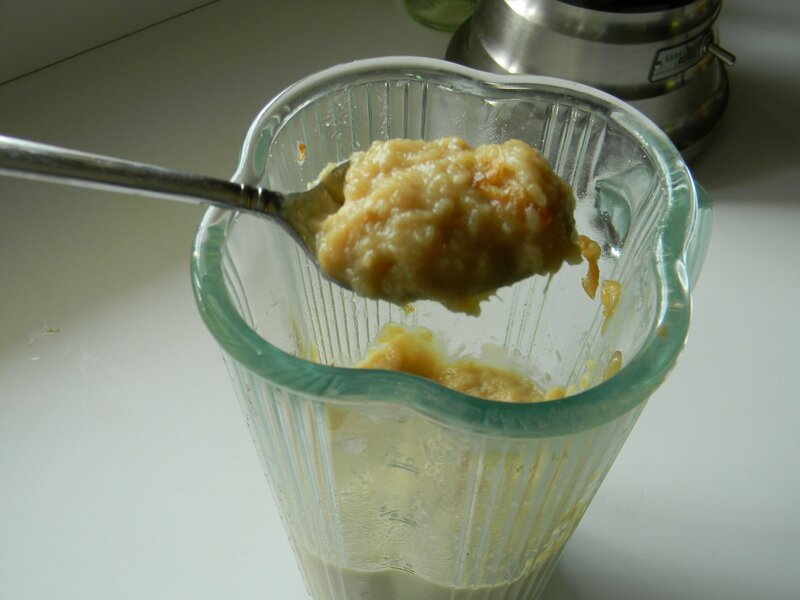 If you buy a chunk of it you can grate it or put 1/2″ chunks into the blender to make perfectly crumbled cheese. For a lovely garnish use a basic vegetable peeler to make shavings. This recipe is pretty straight forward. Feel free to double or triple it as it keeps well in the refrigerator for 3 weeks. Check out my recipe for croutons below. 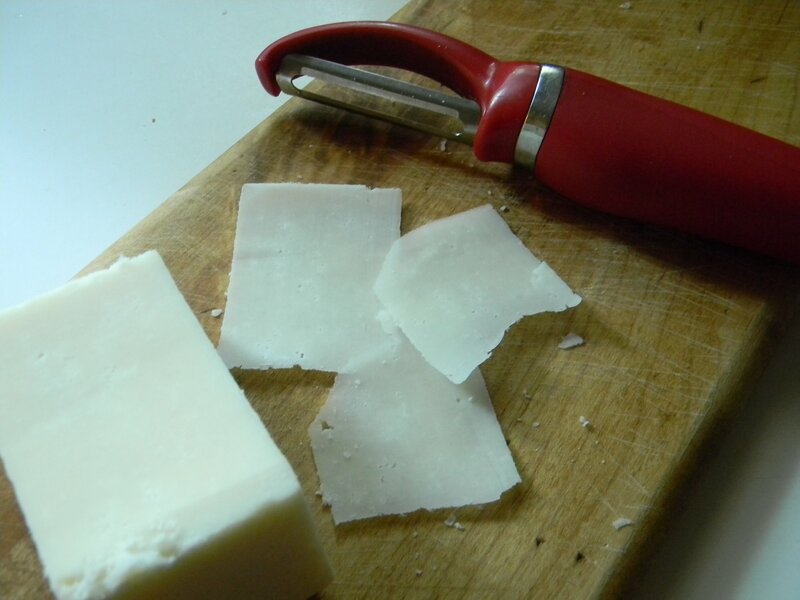 1) If you’ve got a chunk of cheese, cut about a two inch piece into 1/2″ pieces and put into the blender. 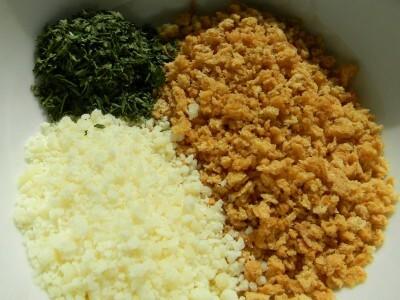 Process until you have an evenly grated cheese. Add the garlic through the olive oil and give it a whirl on high until you have a nice smooth consistency. 2) Place the lettuce into a large mixing bowl. Add the croutons and spoon about 4 tablespoons over the lettuce and toss. Add additional dressing to thoroughly coat the lettuce. Reserve the rest for another time. Toss to evenly coat. Plate the salad and top with a couple of parmigiano shavings. Makes four servings. 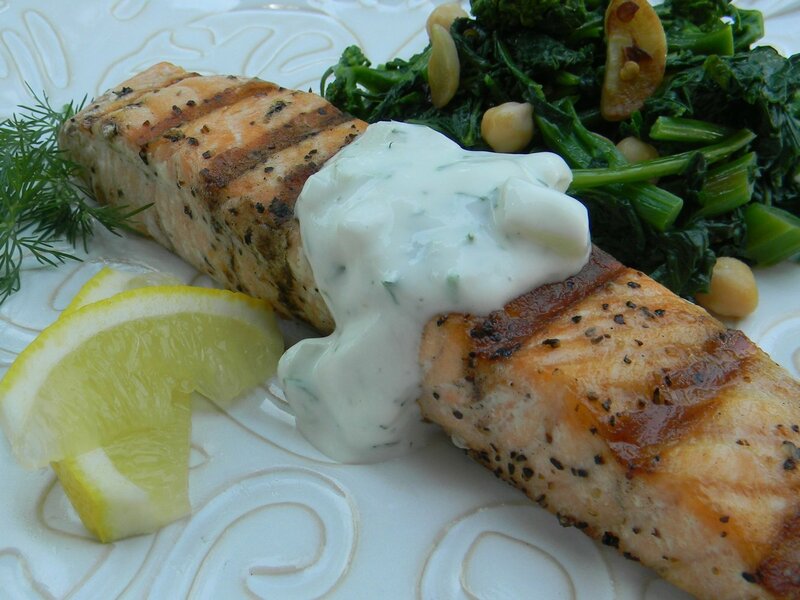 Simplest Grilled Salmon with Fresh Cucumber Dill Sauce…..
1) In a medium mixing bowl, combine all of the sauce ingredients, gently mix well to blend. If too thick and you’d like a slightly looser consistency, simply add a small amount of milk. If you’re making it ahead, give it a stir before serving. Of course, refrigerate immediately. 2) Rinse the salmon fillets with cold water and pat dry with a paper towel. Place on a plate. Drizzle the olive oil over the fish, rub with your hands to coat. Season both sides with salt and pepper. You’re ready for the grill. 3) Preheat the grill for about 5 minutes. When cooking fish, you want to only turn it one time and you do not want to turn it too soon, so be sure your grill is good and hot. Cook the salmon over medium-high heat. Place the fish presentation side down. Cook it with the lid down for 4-5 minutes. The fish will begin to turn to a lighter pink color around the edges and about half way up the fillet. With a grill spatula, gently turn the fish. Allow it to cook an additional 4-5 minutes. Serve immediatly with the dill sauce. *enjoy any leftover salmon cold with the cucumber sauce, so good! *if you have fillets with skin, no worries. Cook it the same way. When you turn the salmon and the skin is on the grill, once it’s done it is very easy to get your spatula under the skin when removing the fish from the grill. Some people enjoy the crispy skin. Everyone should have a “go to” marinara recipe. Here you go. Love this over pasta with fresh grated parmesan cheese. Add a simple salad and you have dinner. If you’d like to kick it up a notch, serve it with my homemade garlic bread. (you’ll find the recipe in breads category) Why not double the recipe and keep a stash in your freezer for later, always a great idea! Also makes an excellent meatless lasagna…will share that with you soon. We begin with a large heavy pot over medium heat and some nice olive oil. And lots of onions…two cups. Cook for about 5 minutes. We’ll add some seasonings now. The olive oil will absorb the flavors. 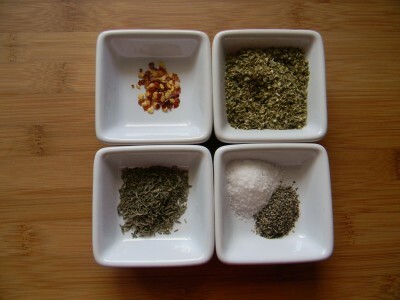 We have crushed red pepper flakes, oregano, thyme, salt, and pepper. 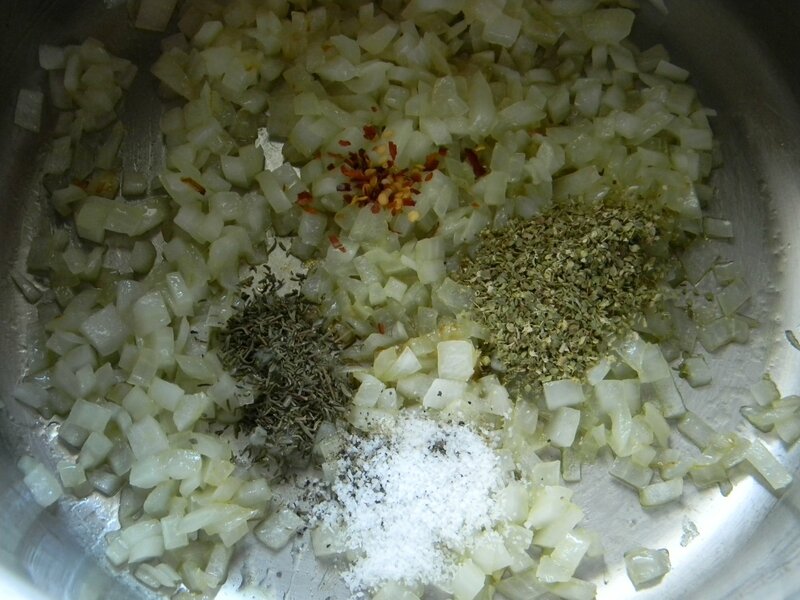 Add the seasonings all at once…. And garlic, we need lots of garlic:-) Cook for a couple of minutes. Of course, we need tomatoes. I like using crushed tomatoes for a little texture, tomato sauce, and tomato paste. Sugar is added to reduce the acidity. Add the tomato paste. Cook this in the pan for a few minutes, the tomato paste will start to caramelize and all of the flavors will come together. Add the crushed tomatoes, the tomato sauce, and a little water. Finally, the sugar. Simmer the sauce for about 20 minutes. Quick and easy! 1) Heat olive oil in a large heavy pot over medium heat. Add onions and cook for about 5 minutes. Add the garlic, oregano, thyme, salt, pepper, and pepper flakes, cook another couple of minutes. 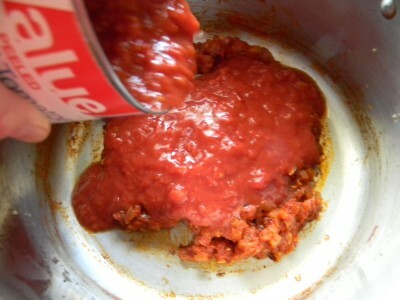 2) Add tomato paste and cook 3-4 minutes, stirring often. 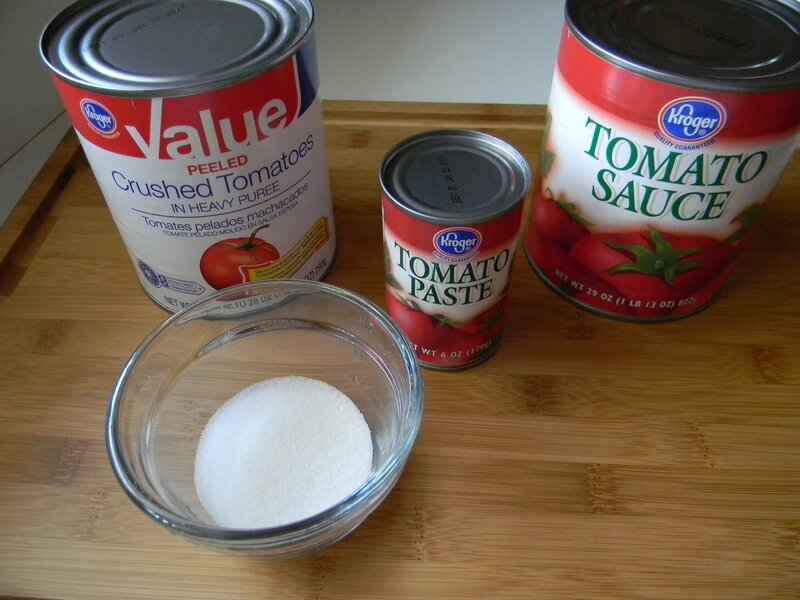 Add crushed tomatoes, tomato sauce, water, and sugar. Simmer for about 20 minutes. *add additional water if you’d like a thinner sauce. This pasta is incredibly flavorful and made with simple ingredients. Serve as a delicious side dish or vegetarian main. Add whatever you like. I think it would be outstanding with chopped leftover chicken and petite frozen peas…YUM! I take an additional step in the process because my guys wouldn’t appreciate identifiable onions and garlic chunks. I give the mixture a whirl in the blender before adding it to the cooked pasta. Skip this step if you wish. We’ll start by toasting the panko. 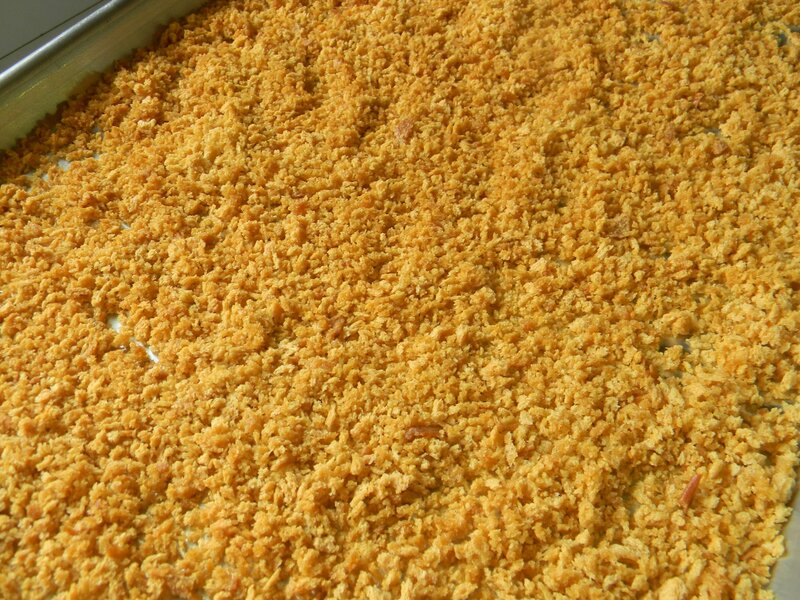 Preheat the oven to 375′ and give the crumbs a drizzle of olive oil, mix well to coat and spread over a cookie sheet. Bake for 5-6 minutes. They should be golden brown. Allow to cool completely. In a small bowl, combine the toasted panko, grated parmesan cheese, and dried parsley, mix well. Set aside. 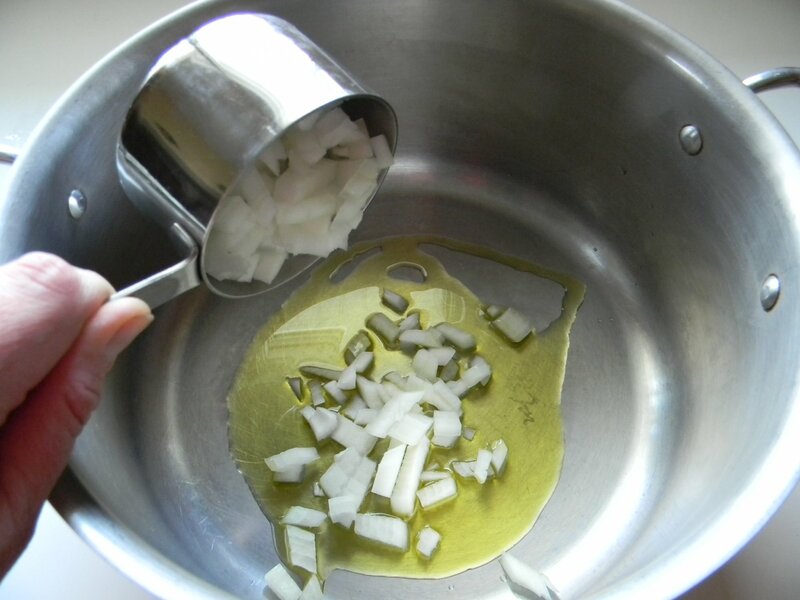 Heat a large skillet over medium heat and add 2 tablespoons of olive oil. Caramelize onions until they are golden brown as seen above. This should take about 25-30 minutes. Add garlic and 1/2 cup each chicken broth and wine. Cook for 4 minutes. Omit this step if you wish. I blend the onion/wine/broth mixture to a smooth sauce so my guys will eat it. They love the taste of onions and garlic but don’t much appreciate visible onions or garlic chunks. It will look like this. Cook the pasta according to package directions. Drain well and toss the pasta with the sauce. Top with the panko/cheese/parsley mixture. The sweetness of the onions and garlic combined with the sharpness of the parmesan and the crunch of the panko will cause a party in your mouth! Enjoy! 2) Heat a large skillet over medium heat and add 2 tablespoons of olive oil. 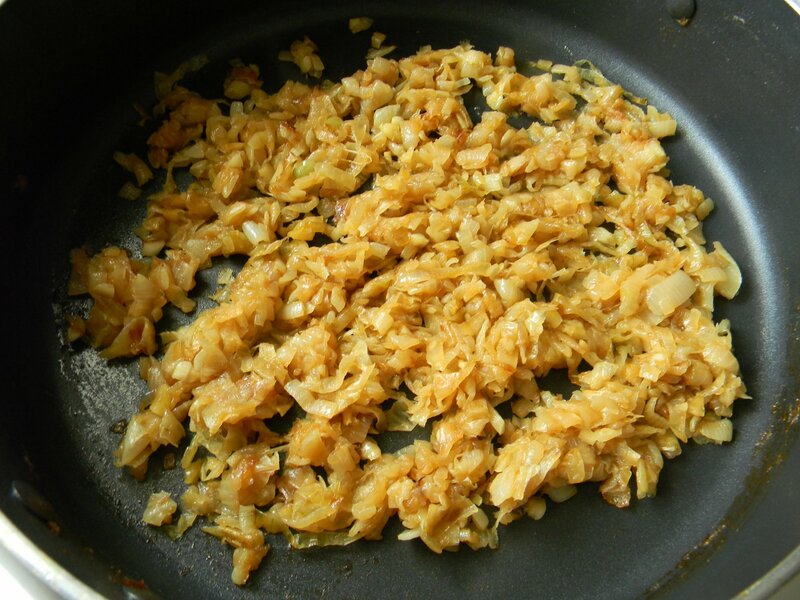 Add the sliced onions and cook, stirring often until they turn golden brown, about 30 minutes. Add the garlic, wine and the chicken broth, cook for about 4 minutes. 3) You may omit this step if you wish. 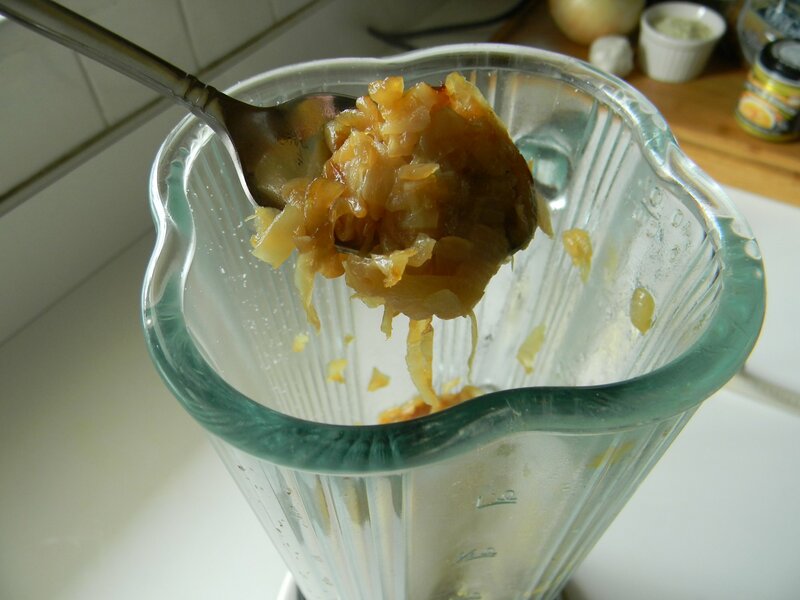 I put the onion/wine/garlic mixture into the blender so that my people will eat it. They love the taste of onions and garlic but not necessarily the stringy pieces of onion and chunks of garlic. It’s a texture thing. 4) Cook the pasta according to package directions in salted water. 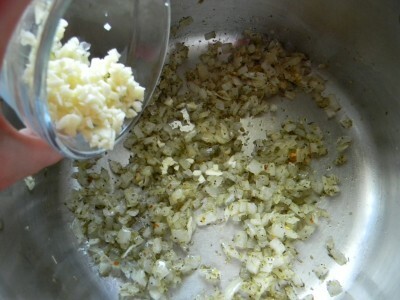 Drain well and gently toss with the onion mixture and top with the panko/cheese/parsley mixture. Serves 4. *if you’d like to make this vegetarian, simply substitute vegetable broth for chicken broth. 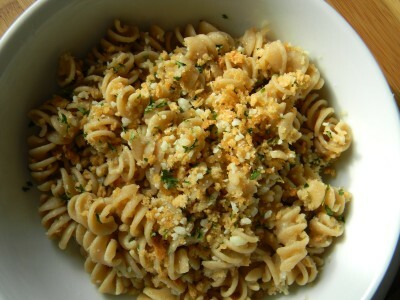 Simplest Garlic and Cheese Pasta….. This is sooooo simple! I use a small cheat on this one. I use Better Than Bouillon for the chicken stock. I add it to pasta water to make the simple, flavorful sauce. I always keep this on hand, I just love using it in quick dishes such as this. This pasta is one of my boy’s fav’s. I serve it with roasted pork, chicken, or grilled sausage. Add shrimp, peas, broccoli, frozen spinach…whatever you like! Top with fresh grated parmesan or romano cheese. To start, choose a pasta…any kind you like…. Any of these would be excellent. It’s a bit more fun when you use a cheese filled tortellini or mini ravioli…this time I used whole wheat spaghetti. 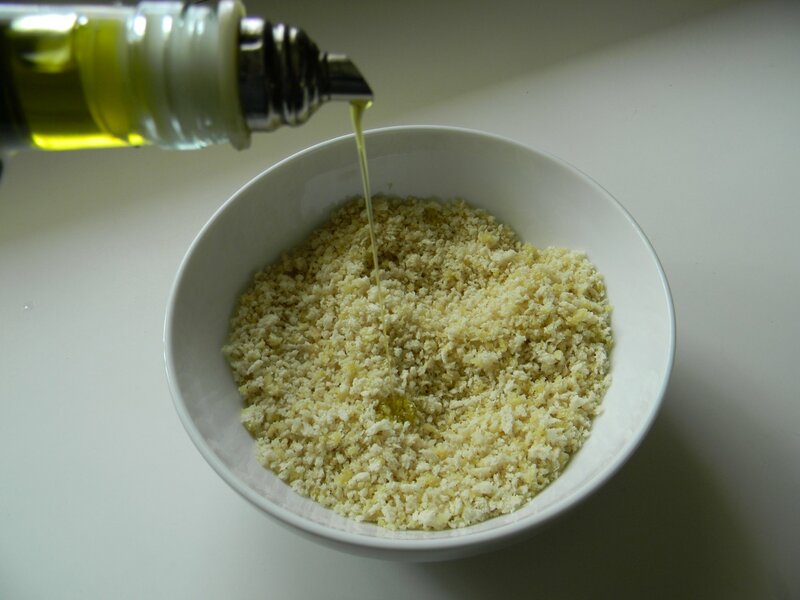 ﻿Pasta, olive oil, fresh garlic, dried oregano, bouillon, and fresh grated parmesan cheese….that’s it! Put a large pot of salted water on medium high heat and cook the pasta according to package directions less two minutes. Cook time for my spaghetti was 10 minutes, so I set the timer for eight. When the timer goes off, carefully remove about 1 1/2 cups of water from the pot. Drain the pasta, I let it sit in the sink until I’m ready for it. Add the reserved pasta water to the pan, bring to a bubble over heat. Add the cheese to the hot pasta, mix well. Enjoy! ½ lb. pasta, any kind, cooked according to package directions less 2 minutes. Reserve 1 ½ cups reserved pasta water before draining pasta. 1) Cook pasta and reserve 1 ½ cups pasta water. Set aside. 2) Add olive oil, crushed garlic, and dried oregano to the hot pasta pot. Cook for one minute. 3) Add pasta water to pan. Add bouillon, continue to simmer. Add pasta to pot and cook for 2 minutes. 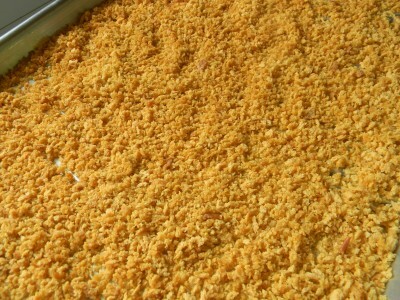 4) Remove from heat and add grated cheese and mix well. Makes about four one cup servings.